The Weatherization Program serves low-income households that are most vulnerable to high-energy costs and who do not have the means of making cost-effective energy conservation improvements to their homes. 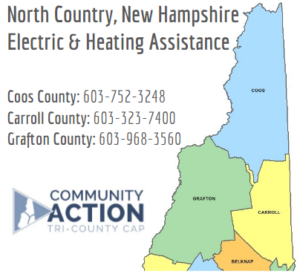 TCCAP collaborates with the electric and utilities’ energy efficiency programs to enhance the weatherization services provided to low-income households in New Hampshire whenever possible. Weatherization crews in all three counties have made improvements in 378 single family homes and apartment units this year. As with Fuel Assistance, our clients qualify for services through a means-tested application process. Our crews not only make significant upgrades to the energy efficiency of a client’s home but also tackle needed safety improvements. These services drive down the cost of heating people’s homes and repair dangerous living conditions where they are found. Don’t be left in the Cold! EAS Applications Open! Don’t be left in the cold (2) TCCAP *Income guidelines are not completely reflective of what may make a household eligible for assistance. Please call your County Outreach Office and ask if you are not sure. We are here for you! Utility Assistance News and Information Coming Soon! Visit TCCAP to learn vital and important information about upcoming utility assistance news and events!